We have just discovered something crazy. So, you may ask, what else is new?? 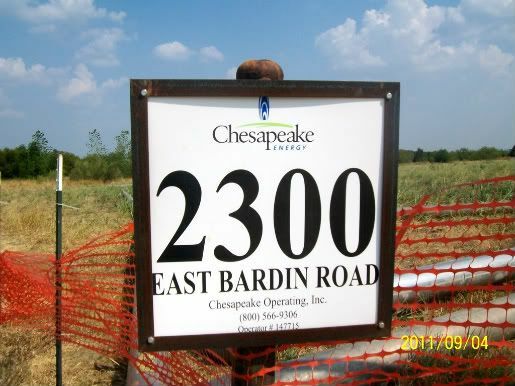 Chesapeake's Corn Valley Pad Site was administratively permitted by the City of Grand Prairie in the summer of 2010 with very little fanfare ~ even though it was clearly within the 3,000 foot Zone of Exclusion ~ as defined by the United States Army Corps of Engineers (USACE) ~ with their (click on the link) 1996 publication: Texas Resource Management Plan and Record of Decision. This publication defines the Rules going forward for oil and gas drilling activity near the dams and lakes under United States Army Corps of Engineers' jurisdiction. "...The Corps of Engineers is aware of this activity based on an agreement with the Bureau of Land Management on this property." 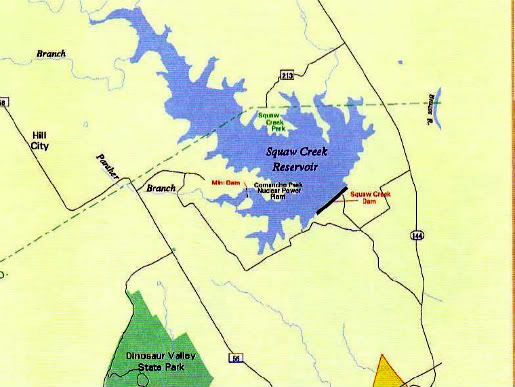 So, as it turns out, the Bureau of Land Management (BLM) is actually a "Lessor" of XTO's Lynn Unit (located just to the west of the Corn Valley Pad Site and to the northwest of the Joe Pool Lake Dam) ~ with 43+acres of land! The statement in the Minutes of this meeting (Pages 8-10) did not make that fact clear at all. The United States of America owns land within the Lynn Unit and signed a mineral lease with XTO sometime in 2007 or early 2008. Three wells appear to be completed and/or in production at this time. A total of 5 have been permitted as far as we can tell. Here's the deal. The Bureau of Land Management violated its own Rules when it leased those 43+ acres for shale gas drilling. 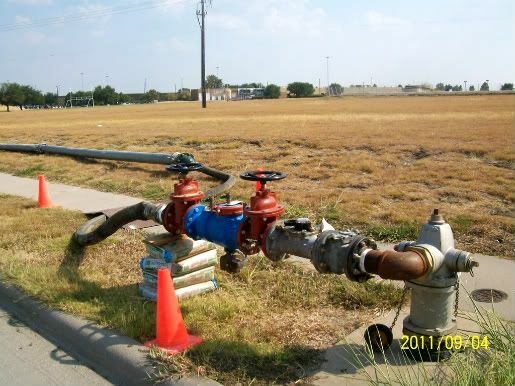 It all got rolling when the Grand Prairie, TX City Council approved the setback variance for the Lynn Unit during that July 15, 2008 Public Hearing after Walter Dueease with XTO assured the Council that all was well (Link to the July 15, 2008 GP City Council Meeting, Pages 8-10). Apparently, neither any Bureau of Land Management personnel or US Army Corps of Engineer personnel were present or spoke during that City Council Public Hearing. 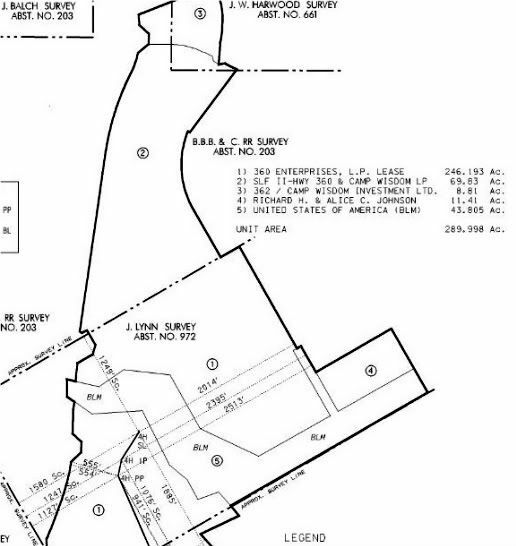 The City Council Minutes reflect only that Mr. Dueease told the Council that USACE was aware of this pad site since the BLM had land there...but there was never any discussion or mention of the Exclusion Zone or that the BLM was a "lessor," for this Unit. And now, because of those actions, thousands of people's lives are in peril if there were to be a catastrophic failure of the Joe Pool Lake Dam. Thank you, Commander Muraski of the Fort Worth District of USACE, for your warning. Our country needs to get its sh** together. Texas Railroad Commission/XTO PLAT of the area near XTO's Lynn Unit. 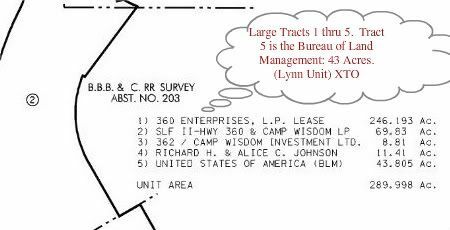 (Above) The Lynn Unit Plat (showing the 5 largest lessors). 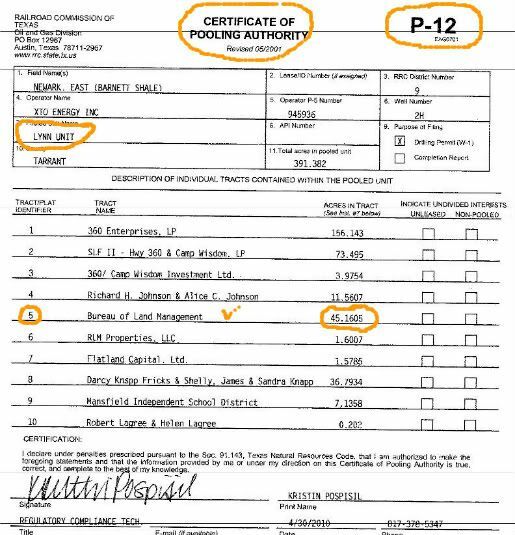 The Industry Standard P-12 Certificate of Pooling Authority (provides the list of lessors in the "pooled" unit). 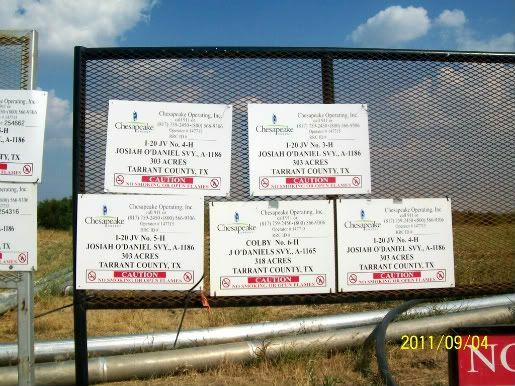 (Above) The Grand Prairie, TX Shale Gas Drilling Status Report for September 7, 2011. 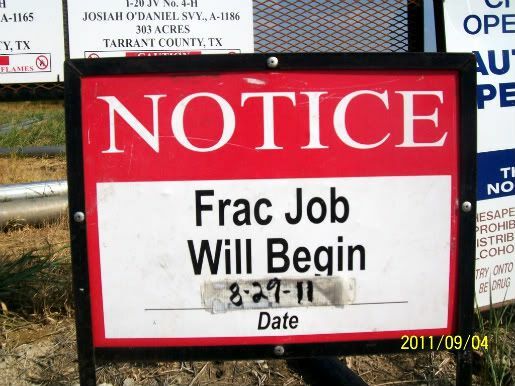 It shows all activity from the beginning for every well including city permit dates, drilling dates, fracking dates and dates for sales from specific sites. 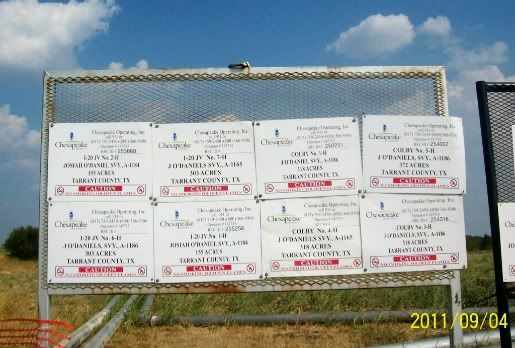 Larger view of the Grand Prairie, TX Shale Gas Status Report (above) showing July 15, 2008 as the date that the Lynn Unit was voted on by City Council. It also shows that Wells 1H, 2H and 3H are "completed" and were/are "in production." So, why did the BLM violate its own rules? Can we possibly say this? We told ya this was crazy. **IMPORTANT UPDATE**: Below is the United States Army Corps of Engineers (USACE) Map depicting the Exclusion Zone. 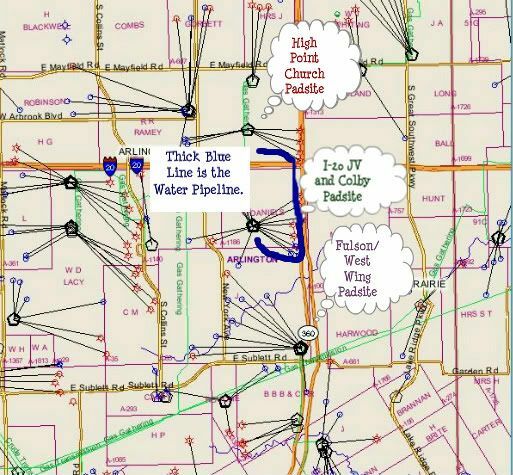 This map and additional documents were provided to the City of Grand Prairie, TX during meetings with USACE in early 2011. 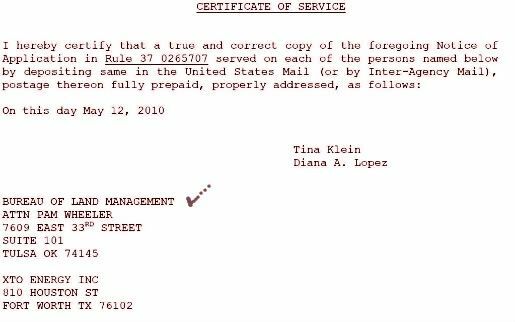 Documents were received on August 3, 2011 via FOI Request by the Westchester-Grand Prairie Community Alliance and were important to this report. Important Note: Color Emphasis and Labels were added to this Black and White Map for clarity. This FlexFrac frac truck has a very nice parking spot all safe and secure, comfy and cozy at the Lake Prairie Towne Crossing Shopping Center at 360 and Camp Wisdom in Grand Prairie, TX. 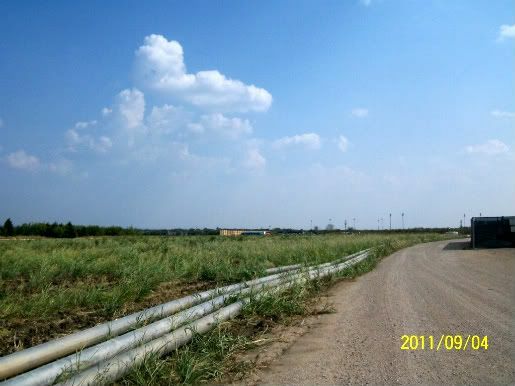 There are numerous shale gas pad sites nearby. Very special. 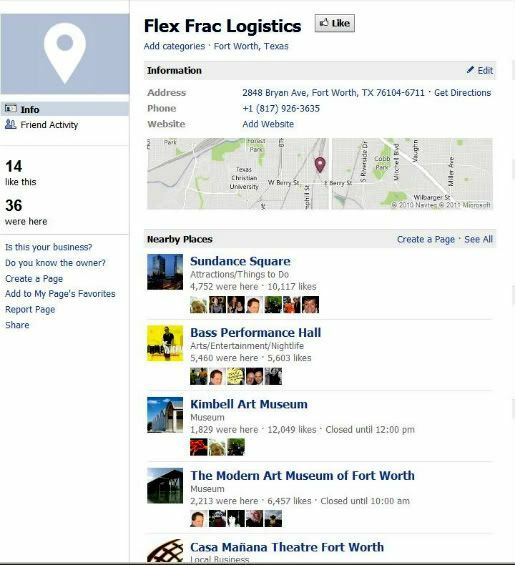 For those down times at the pad site, FlexFrac can enjoy his friends on Facebook who are apparently spending most of their time in the Fort Worth Cultural District. 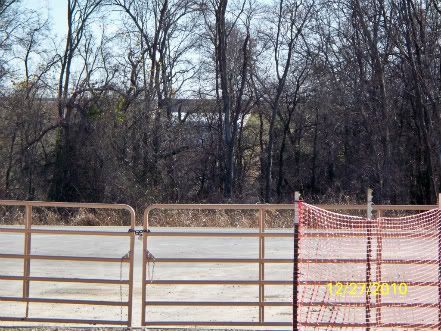 Well, now we see all the drilling and fracking within close proximity to the Comanche Peak Nuclear Power Plant and the Squaw Creek Dam near Glen Rose, Texas. 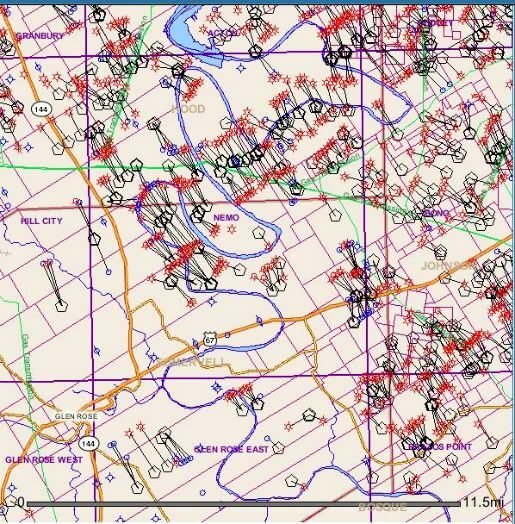 The map above shows all the horizontal, fracked wells as red circles extending from the pad sites ("completed," or "in production," since the color red indicates either of those possibilities) and all of this is shown on this Texas Railroad Commission GIS Map as being immediately to the West of Comanche Peak and to the West of Highway 144. (see the link to BlueDaze below for all the details). Link to the detailed story on BlueDaze. 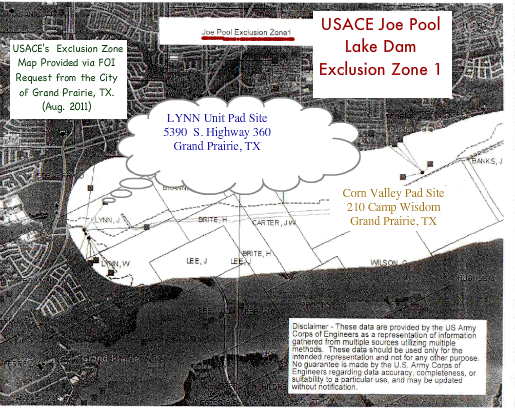 We wonder if the personnel at Comanche Peak Nuclear Power Plant were also notified about this activity with the same non-descript Form Letter USACE received about Joe Pool Lake Dam? Somebody has a lot of explaining to do!!?? 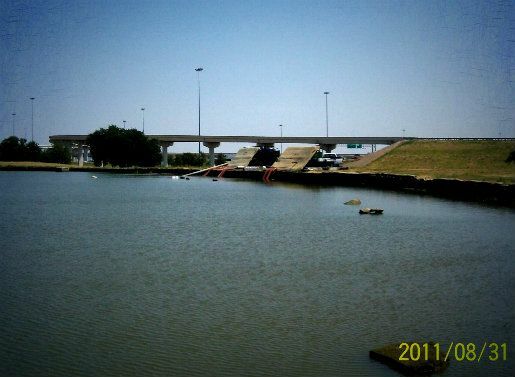 CBS11 did another story on the Joe Pool Lake Dam this week. Good news? Not exactly. One of the commenters had a question for another commenter: "Out of curiosity, exactly why do you think Chesapeake is the “Big Rat”?" We will attempt to answer that question here. 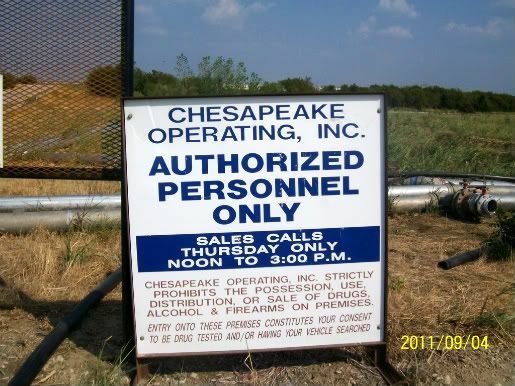 Chesapeake is conducting drilling activities 850 feet from a Corps of Engineers Dam. They notified the Corps via a FORM Letter that sounded like a promo for shale gas drilling and was not addressed to the appropriate chain of command. It wasn't addressed to anyone. It very likely ended up in the trash. Glad you are curious, John. I think it lowers your own "rat rating." Even the possibility of a Dam Failure should prevent any responsible O&G company from drilling and fracking in that zone. Don't you think that's reasonable? There are thousands of people within this particular Zone, as well. 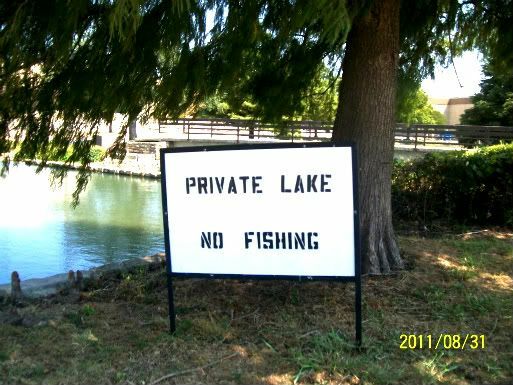 They may not be "drilling" under the dam, John, but the drilling and fracking is within that Exclusion Zone. 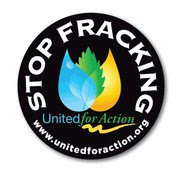 4 more horizontal wells are planned to be drilled and fracked from the Padsite and to the North, East and West. They are not all headed Northwest. 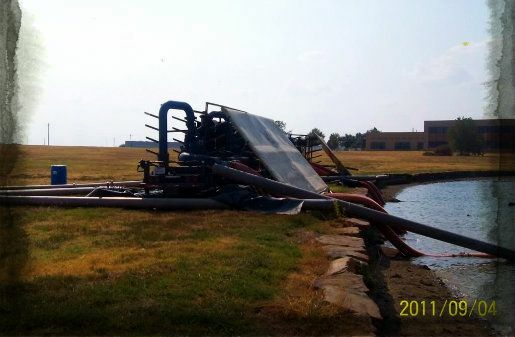 As you know, this process of hydrofracking horizontal wells with water, sand and chemicals has only been conducted in the Barnett Shale for a few short years. It's ridiculous to conclude (as apparently Chesapeake has) that there should be some kind of "let's see how it goes philosophy" about this issue and when so many lives can be potentially affected. 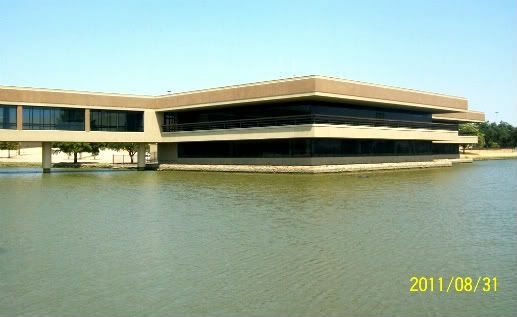 So, is Chesapeake a "Big Rat,"?? Maybe. Who knows? They have certainly shown tendencies here, here, here, here and here. Click Here to Go Over to Bluedaze. TXSharon has weighed in on this, too. It's just such a curious story. Is It a Very Scary Industrial Accident? So, Where is the Water Going? The Wonderful Wizard of Oz!! Ugh. There's No Place Like Home. Click here to see Part 1 of this story. You won't want to miss that, either. Call 202-456-1111 or 202-456-1414 between 8:00 AM and 4:00 PM Central Time! Over the past year, we've encountered so many people who often declare, "We've never heard about any problems, before." Well, friends, this could explain why. Thank you, TXSharon, for this story. We hope you have had a very nice summer. It's been a hot one, hasn't it? The Drought has certainly affected all of us. But we see that it hasn't slowed y'all down at all!! We're writing today to simply go over a few ideas. "We Don't Want No Moratorium!!" A period of time in which there is a suspension of a specific activity until future events warrant a removal of the suspension or issues regarding the activity have been resolved. That definition sounds reasonable and about right, doesn't it? Issues about the possible catastrophic failure of Joe Pool Lake Dam need to be resolved before specific activity (drilling and fracking) can resume. That's one good example of the reason for having one of those ~ sorry ~ we have to write it again, MORATORIUMS. But wait a minute, what did you do when there was another "Moratorium" in Grand Prairie, TX that was to last up to 6 months, but only lasted 2? Remember this? We certainly remember. It made our Christmas very special. 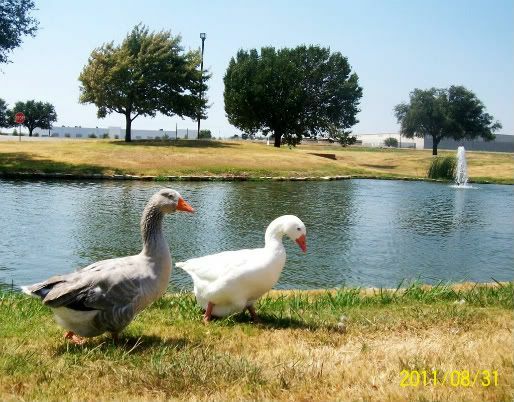 Learning how you, Dear Chesapeake, only wanted to make life in Grand Prairie, TX, grander. And if you had to, you would invoke something called "Force Majeure" (Starting at around 3:00 Minutes on the Video). You told us we probably hadn't ever heard of that before. It was so wonderful that you told us all about it. And then we knew. Once you know, you can't not know. 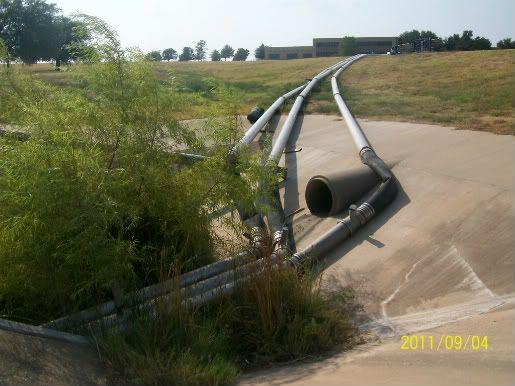 You see, the problem is, municipalities like Grand Prairie, TX have allowed the shale gas operators to "tell them" what is safe and what is not safe. If you watch the video and see Chesapeake's response (Leah King, Sr. Director of Public Affairs for Chesapeake) it's clear that "the company" (even after this report from the United States Army Corps of Engineers aka USACE) continues to push its own agenda. Fact is, USACE is "planning" to conduct geotechnical testing at this site. To continue with drilling activities under those circumstances is well, dumb. Oh, never mind. Apparently Chesapeake is A-OK with being DUMB. They do it all the time. We're sure you must know by now. 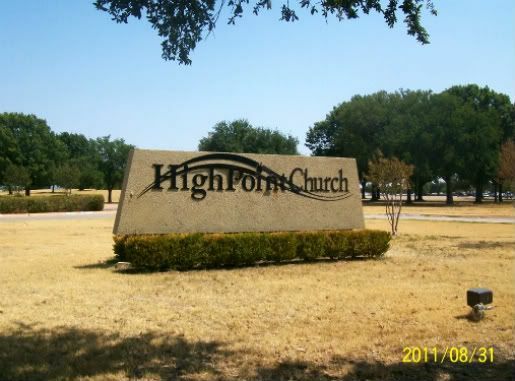 **Click right here to check out TXSharon's Blog Post (Saturday, September 17, 2011). 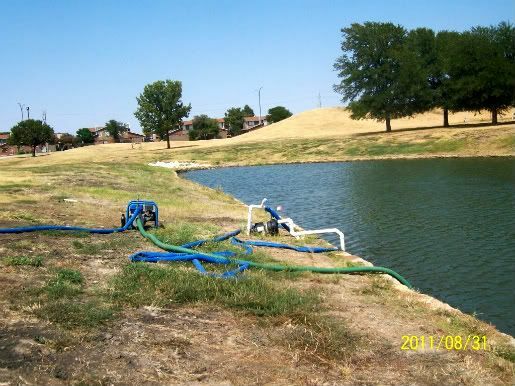 Ordinance providing for a moratorium on the conducting of any natural gas drilling and fracturing activities within 3,000 feet of any dams and other water retention structures owned and/or operated by the United States Army Corps of Engineers. Link to Grand Prairie, TX City Council September 6, 2011 Meeting w/Discussion About Moratorium Featuring Chesapeake Rep in Opposition. 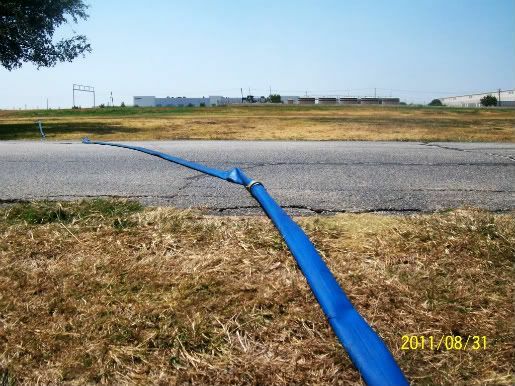 The United States Army Corps of Engineers (USACE) has expressed concerns regarding natural gas exploration activities within 3,000 feet of dams and other water retention structures. 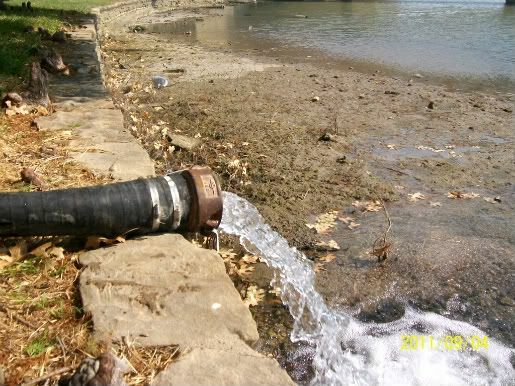 The USACE intends to study this issue in the coming months. 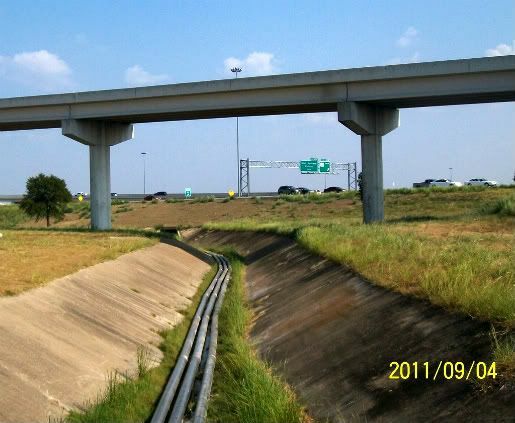 A moratorium will provide time for the USACE to initiate engineering studies. SECTION 4. That this ordinance shall take effect immediately from and after its passage and it is accordingly so ordained. 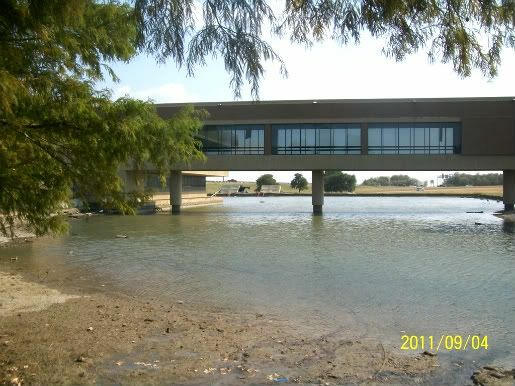 PASSED AND APPROVED BY THE CITY COUNCIL OF THE CITY OF GRAND PRAIRIE, TEXAS, ON THIS THE 6TH DAY OF SEPTEMBER, 2011. (*UPDATE* February 19, 2015): The Moratorium has been extended for the 2nd 4th 5th (maybe 6th) time and now through October 1, 2015 according to the Grand Prairie, TX City Council. 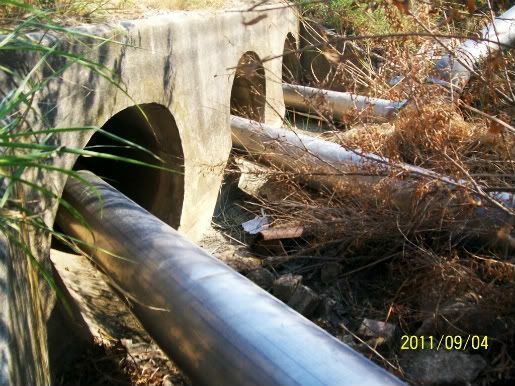 The study from USACE is not ready completed, but still under review. Stay tuned...and be sure to read our original blog post about this issue over 2 3 1/2 years ago when we first layed out the BIG picture. Thank you. Click Here. 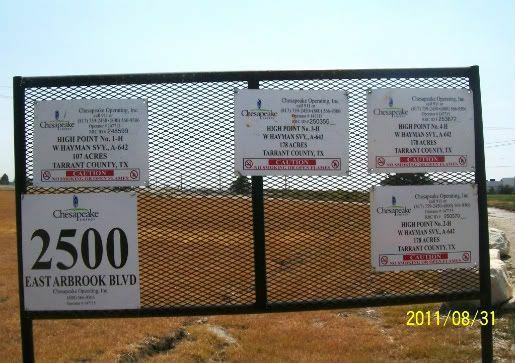 (Another *UPDATE* July 30, 2015): Currently (as of July 30, 2015) a housing developer, Sandlin Homes, is selling NEW homes atop the former Corn Valley Drilling Site and FRAC Pond, unbelievable as it might seem. So, the MORATORIUM on the Corn Valley Drilling Site appears to be MOOT with this drilling site gone and the one well plugged. Or is it? Just a reminder...these Texas Railroad Commission GIS maps don't show the schools where children try to learn so that they may grow up to live healthy, productive lives. 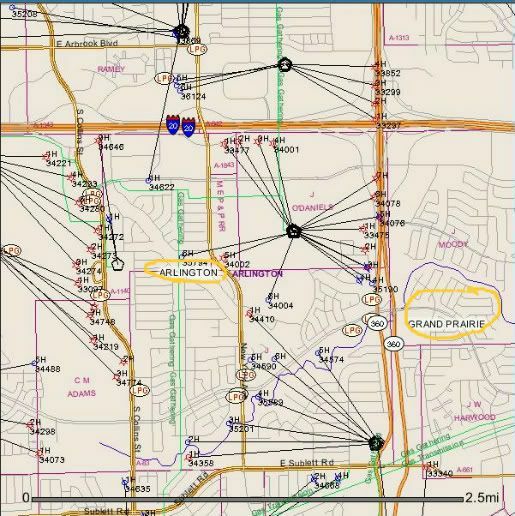 This map shows the horizontal wells from numerous pad sites as well as the multiple, non-odorized gas gathering pipelines (meaning, if you can't smell it, you won't know if there's a "leak") right in the midst of highly-populated, residential communities in southeastern Arlington, TX. 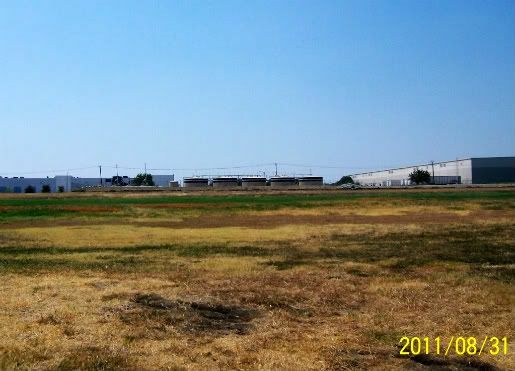 If this is not an "Industrial Zone," what is it? What the Quack is Going On? "...SuperNatural Gas the Pastor Says." Don't miss Part 2 of this supernatural story. Click here.